Perfume is a popular gift. Perfume gift sets can serve as the perfect present any time of year. Let LoveToKnow open your eyes to more information on this unique token of love. The festive packaging and great deals make perfume gift sets appealing during the holidays when you are checking off your gift list. Perfume gift sets are the perfect for almost everyone. From little girls to your grandmother, scents abound for any age or style. Younger girls will enjoy the lightly scented body splash sets sold by companies like Bonne Bell and Mary Kate & Ashley. Adults will enjoy the opportunity to try the fancier and pricey sets they would never purchase for themselves, like Elizabeth Arden and Prada. It seems like everyone is buying perfume these days, so why not consider it as a special gift for a loved one this year? While there are many great onlineoffers during the holidays, it is probably best to purchase your perfume gift set in person unless you are sure of the scent. Remember, body chemistry alters fragrance slightly, so it is a good rule of thumb to lean toward the milder formulations rather than getting something that just smells good out of the bottle. Additionally, the higher the percentage of essential oils in the product, the more potent it is going to be. There are four different types of specific percentages, review these before you go shopping. 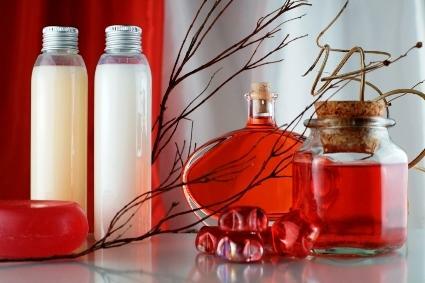 The term "perfume" means that there is an essential oil concentration of 22%. Next is "Eau de Parfum", which contains 15-22%. Third is "Eau de Toilette", one of the most popular, at 8-15%. Lastly is "Eau de Cologne" at 4%. The strength of the scent determines which is right for the gift recipients based on their level of conservativeness and modesty. Some wear strong perfumes just fine, others don't seem to get the hang of it, and will drive everyone out of a room with their newly found scent! Using perfume easily adds flair to your overall look if you apply it correctly and take the time to be conscientious about the power of scent. Many people you come in contact with may have sensitive noses and others can be allergic to strong perfumes, so keep in mind your daily routines or those of the person you are buying for. Apply perfume to your "pulse points," which are your wrists, neck, behind the ears, behind the knees, and sometimes women choose to apply a bit on their cleavage. The choice is personal preference; just make sure to hit two or three of these pulse points with a small dab of scent. There is no need to rub the scent in, as this will flatten it and make it less effective. Always remind your perfume gift set's recipient to not mix it with scented lotions or other beauty products confusing or ruining the scent. Lastly, do not leave perfume in direct sunlight or in a hot area, as it will weaken the potency of the scent and may even alter it completely. People associate scent with memory, thus giving a perfume gift set will be a memorable and comforting reminder to others. This is why perfume is not only a great gift, but a special one as well. Make a memory during the holiday season, or any time of year, by purchasing a perfume gift set for someone special in your life.